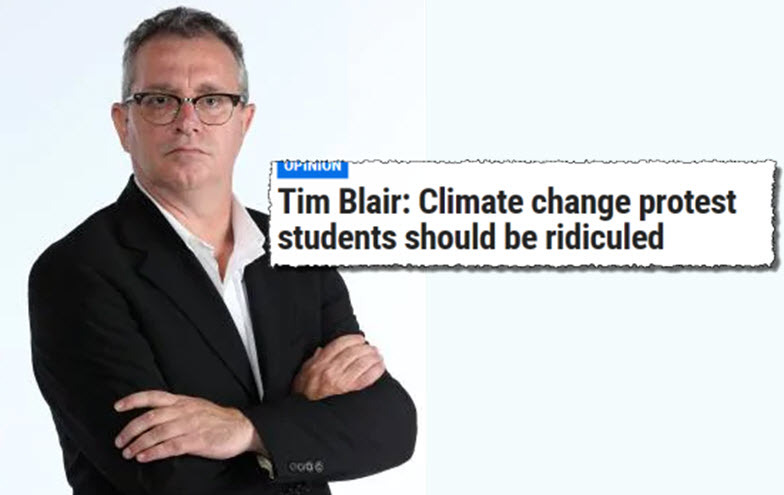 News Corp columnist Tim Blair. After years of apocalyptic headlines and government intransigence on climate change, the sight of thousands of high school students packing Sydney’s Martin Place last Friday provided a jolt of much-needed hope for the future. Armed with loudspeakers, and some incredibly creative posters, the strike -- which also took place in Melbourne, Brisbane, Perth, Coffs Harbour, Bendigo and other city centres -- represented part of a global surge of student-led climate change protests.